This image comes from the R Corona Australis star-forming region, about 500 light years from Earth. 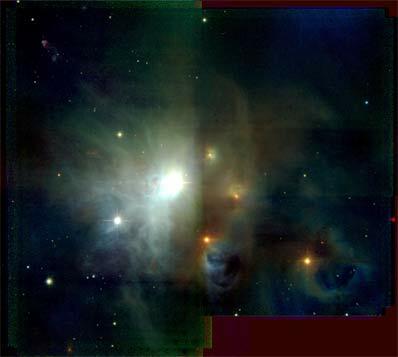 This image was created with the University of Hawaii 88-inch telescope in the "near" infrared waveband, which is slightly lower in energy than what is visible to our eyes. Many protostars (reddish) and young stars (bright white) are seen here. Credit: UH88/Nedachi et al. 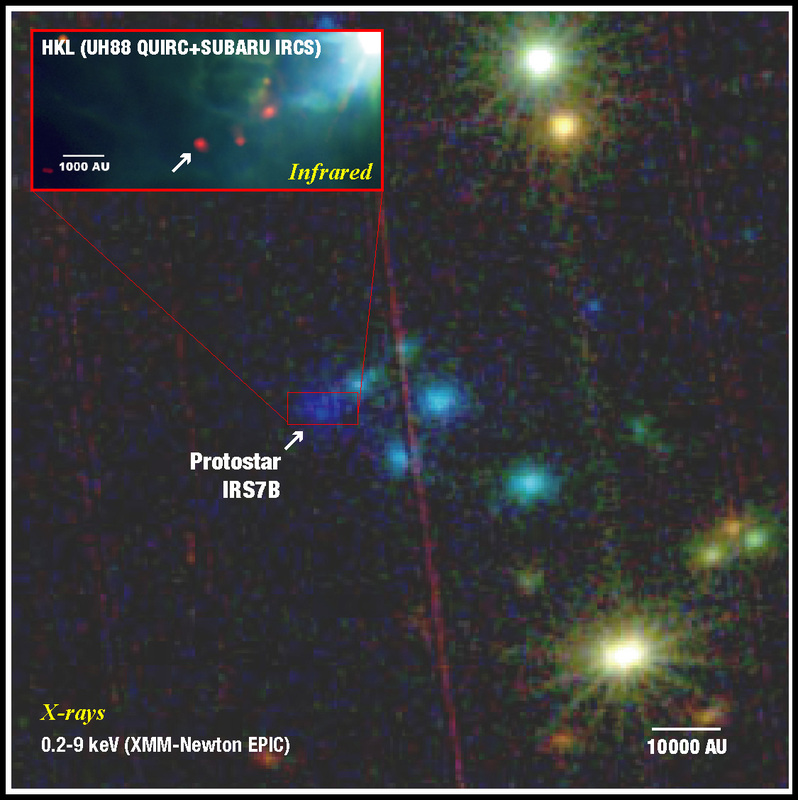 The observation marks the first clear detection of X-rays from a cold precursor to a star, called a Class 0 protostar, far earlier in a star's evolution than most experts in this field thought possible. The surprise detection of X-rays from such a cold object reveals that matter is falling toward the protostar core 10 times faster than expected from gravity alone. "We are seeing star formation at its embryonic stage," said Dr. Kenji Hamaguchi, a NASA-funded researcher at NASA Goddard Space Flight Center in Greenbelt, Md., lead author on a report in The Astrophysical Journal. "Previous observations have captured the shape of such gas clouds but have never been able to peer inside. The detection of X-rays this early indicates that gravity alone is not the only force shaping young stars." Hamaguchi likened the generation of X-rays in the Class 0 protostar to what happens during solar flares on our Sun. The solar surface has lots of magnetic loops, which sometimes get tangled and release large amounts of energy. This energy can accelerate atoms to velocities of 7 million miles an hour. The particles smash against the solar surface and create X-rays. Similarly tangled magnetic fields might be responsible for X-rays observed by Hamaguchi and his collaborators. The detection of magnetic fields from an extremely young Class 0 protostar provides a crucial link in understanding the star formation process, because magnetic field loops are believed to play a critical role in moderating the cloud collapse.